For some reason the card I had in my camera kept getting insanely hot and that happened to be the only SD card I brought but I didn't let this ruin my chances of taking photos. I thought to myself, I have an iPhone and why not start taking more photos with the camera, which isn’t entirely bad. In fact, I feel like it takes more skill to work with an iPhone so below are a few of the photos I shot. For this one my iPhone almost got wet several times. I thought this angle was the best choice because I caught the mountains in the background and the rocks in the foreground, along with the small weed that grew out of the ground. For this photo we where heading back to campus and I wanted to get some candid pictures of my girlfriend. 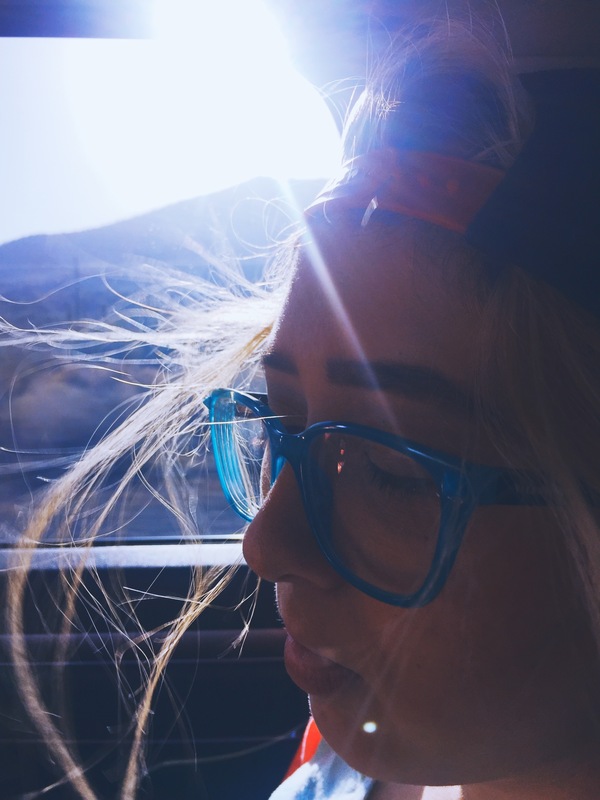 I tried my best to line the sun up with her glasses and I was able capture a glint of light to bounce off her glasses. 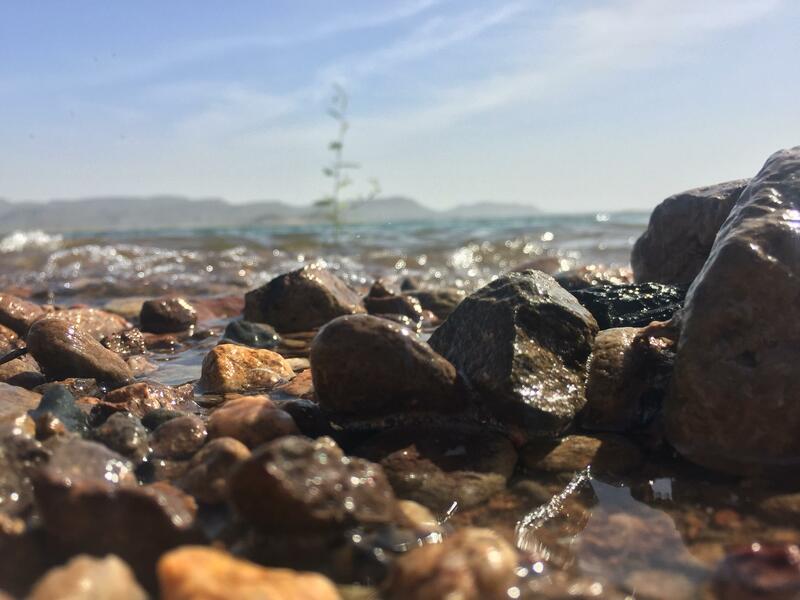 These are my two favorite iPhone photos from our trip to Lake Pleasant.